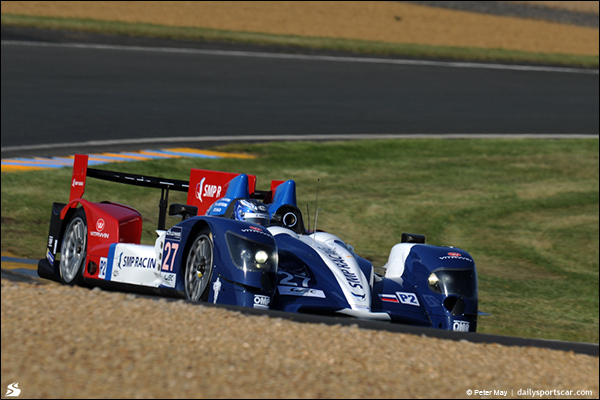 LMP2 is the class with most variety, four different chassis, three different engines and the only class with a tyre war – Dunlop vs Michelin in cost capped cars with production based engines. 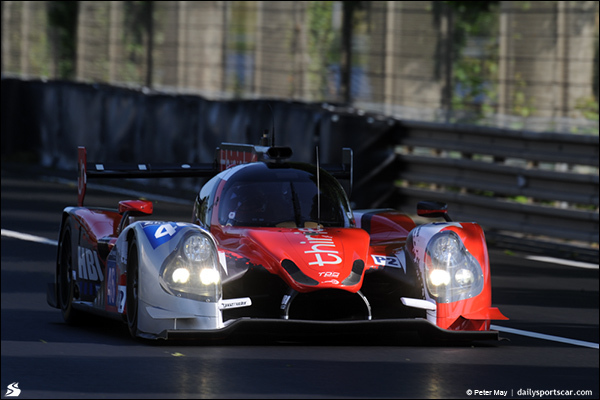 Oreca, with the newly upgraded 03R, Ligier, Zytek and Morgan are all represented with Nissan, Judd and HPD engines. It has a healthy number of entries but the run into the race has been a topsy turvy one for the class, Millennium Racing withdrawing from a two car entry due to financial issues, then returning with a single car as other fell by the wayside. Strakka withdrew their brand new Dome Nissan coupe after testing issues and accident damage and Greaves Motorsport swapped crews between their two cars after an intervention by Caterham Racing who had initially withdrawn ‘their’ entry from the reserve list, an entry that it transpired they had never placed in the first place, Greaves themselves having posted the required paperwork and fees. The Muscle Milk Pickett Racing effort was an early withdrawal too, this before the programme was finally folded. With all of that said and done though there’s much to admire from the final 18 car entry, teams and drivers of real quality aplenty. It’s been a tough run to this point for the Delta ADR team, running now under the Millennium banner with major delays in promised finance leaving their early season plans in tatters. At the time of writing the team’s appearance at the race is still in some doubt, a very sad state of affairs for a team that is much admired in the paddock and that has talent in the garage and on the pit wall as well as in the car. 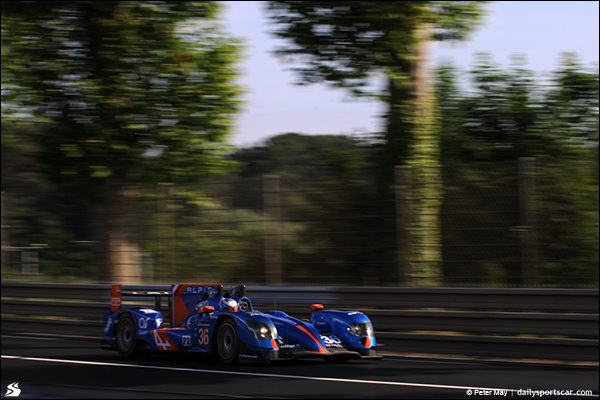 John Martin was part of the team last year and showed race winning speed, Oliver Turvey showed his class with Jota in the ELMS with a matchless qualifying record and great race pace too – Here’s hoping they get the chance to show their stuff at Le Mans. 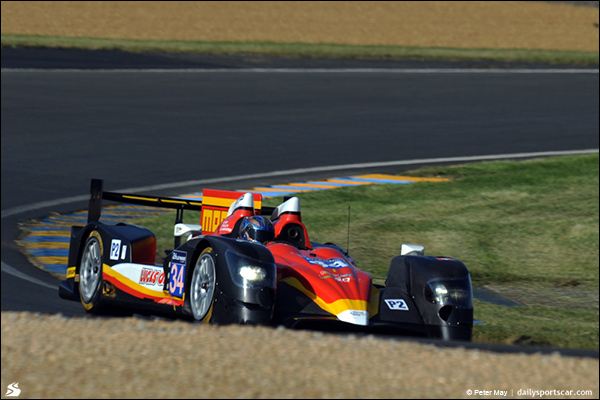 Perhaps surprisingly the team that bears Sebastien Loeb’s name is a rookie entrant at the Le Mans 24 Hours because whilst the man himself has raced here his team hasn’t. 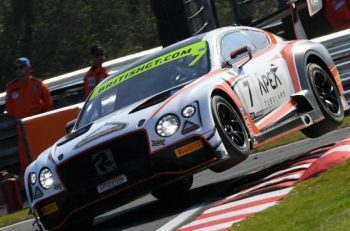 This is an effort that could well compete for a very good finishing position – Rene Rast may be better known as a world class GT driver but he is, actually, just plain fast. Jan Charouz is a previous Le Mans Series drivers champion whilst ex Formula Le Mans and VdeV CN Norma racer Vincent Capillaire is far from the slowest gentleman out there. Their Oreca 03R with Michelin rubber should give the team the weapon they need to take the fight to the rest – Now it’s time to see whether they have what it takes. 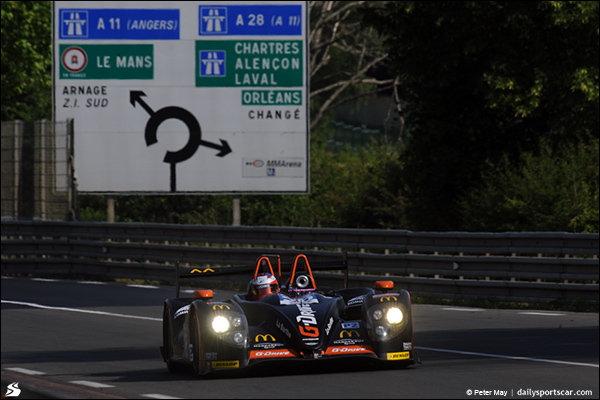 The G-Drive funded effort moved from an ADR Delta run Oreca to an Oak Racing run Morgan for the 2014 season and the change has paid off so far with both race wins in the World Championship falling to the #26 car. The Morgan was designed with Le Mans in mind and so might be expected to be quick once again after the factory team produced an impressively dominant 1,2 finish last year. In Olivier Pla this effort has one of the very fastest men on the grid in any class – He has talent enough to turn a race in the team’s direction and with Rusinov there’s speed and consistency too. 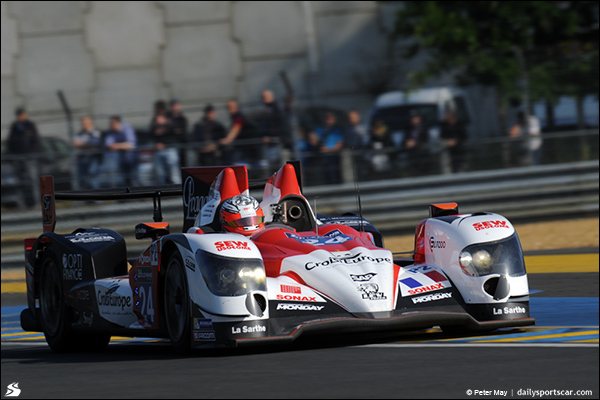 The ‘Gentleman’ component is Canal, 2014 is his first season of LMP racing and thus far he has impressed, and this is a race that should play to his strengths – 2014 will be his 5th Le Mans 24 Hours and he has won his class in three of the previous four! This squad should be ranked very highly amongst anybody’s pick for a potential class winning effort. The Russian flagged and funded, AF Corse organised, effort has had a slow burn, this aside from the trade sanctions imposed on the parent SMP Bank around the Russian/ Ukrainian political situation which still looms large over the team. 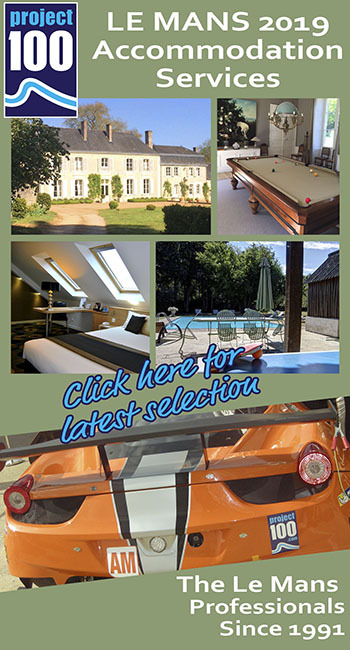 There’s been a major reshuffle ahead of the Le Mans 24 Hours, in part to accommodate the team’s GTE programme and that brings Mika Salo to the effort, the ex Ferrari F1 man making a very rare LMP appearance (his last was back in 2003 in an Audi R8) . Sergey Zlobin is the quicker of the two Russians, he’s tested in F1 and is quick and tough (he’s even survived a car bomb!) There’s nothing wrong with the car, the team or another part of the package – this is likely to come down to the driver mix, and their ability to deliver speed, consistency and a fault free run. 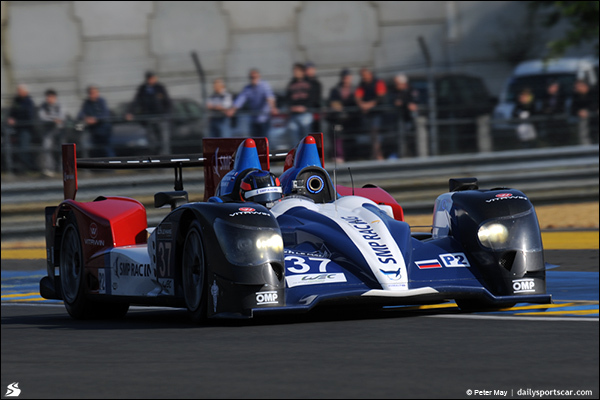 This is a returning team to Le Mans, the Schell family owned team took a step back after a rather abortive effort to bring the then new Norma LMP2 car to the Le Mans Series, ran the car at Le Mans and thereafter were seen mainly in CN class racing with some LMPC efforts alongside. This will very firmly be an effort aiming for a finish, an effective chassis, a reliable Nissan engine and Dunlop rubber are all capable of supporting that – it will be down to the three drivers to keep it on the grey stuff and out of trouble. Oak Racing’s Asian arm got the opportunity for this effort courtesy of success in the Asian Le Mans Series and they are clearly delighted to have been able to put together an all Chinese driver line up – albeit with drivers whose racing licences are issued from far away from the Peoples Republic. That said this is a very welcome effort, and it brings further variety to the grid too with an HPD twin turbo V6 in the back of the #33 car, and Michelin tyres courtesy of the partnership between the French tyre maker and the AsLMS. Adderly Fong has GP3 form, Ho Pin Tung added a Le Mans start last year with KCMG to a long racing cv and David Cheng has raced in everything from junior single seater formulae through to the Conti Challenge and LMPC in the ALMS. The #33 Ligier had a troubled Test Day but got valuable laps under the wheels and the trio of drivers is very, very far from the slowest on this grid. This one could be a dark horse for a good result if new car niggles stay away. One of the less well known teams on this grid, the little Swiss team though has real potential for a pacey attack on this event. 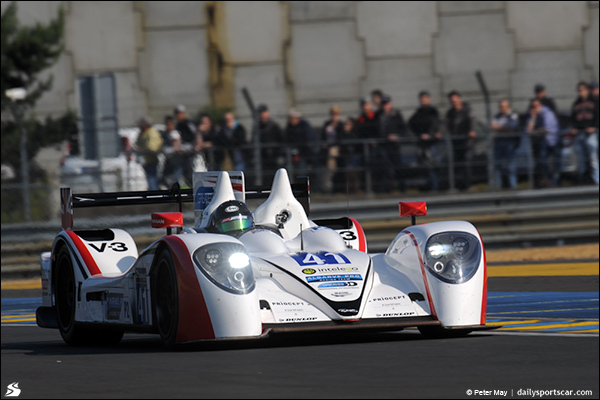 Jon Lancaster is a driver with real heritage in singe seaters that is looking for a way into the sportscar fold. 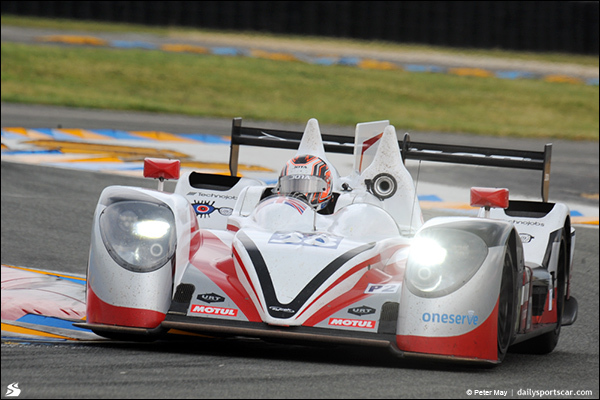 He’s had an impressive one-off run in a Greaves Zytek last year and might just turn a few heads this time out. Michel Frey is the Gentleman driver but is capable of real pace and resilience, he’s capable of running with the pack, and the Judd engine (unique for the Oreca chassis with this team), is capable of bringing the fight to the Nissan powered teams. Finally Franck Mailleux completes the trio, and he’s a quality driver. This team is an outside bet in anyone’s terms, but they can, and have, produced eye-catching runs – Can they sustain that level of form over 24 hours? Not likely, but not impossible either! The second G-Drive branded effort is one of the trio of brand spanking new Ligier Coupes, and of the three this car, run by the ‘factory’ Oak Racing team, might just be the pick of the bunch. It looks fast, and once again there’s little doubt that several of the hard sums invested in the package will have optimised this car for the task in hand so it should be fast! The car has done thousands of kilometres in testing with Brundle, Pla and GT Academy graduate Shulzhitskiy at the wheel, courtesy of a Nissan technical partnership, it certainly looks the part too and with the ever more impressive Brundle backed up by not only the young Russian, but also by the mercurial Jann Mardenborough who came of age at Le Mans last year with an extraordinary overnight stint, this effort should be well able to run with the pack. The other two Ligiers suffered some new car niggles at the Test Day and it’s that factor, rather than anything to do with the basic package, that puts this efforts prospects just a little behind the similarly branded Morgan. The Signatech Alpine is an Oreca in everything but badging, the 450b designation denoting the presence of the 03R upgrade. 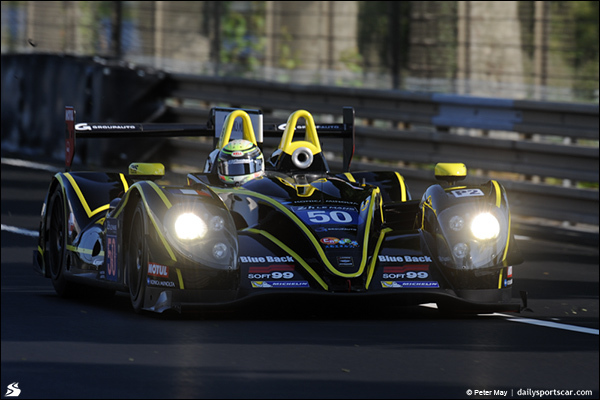 Signatech are a quality team but this is NOT a full factory effort, it is though a very good LMP2 squad. A switch to Dunlop tyres after one race this season is interesting and doesn’t seem to have thrown the effort off its stride at all. Oli Webb is the new addition to the team this year, a Brit in a very French team, he has settled in well. 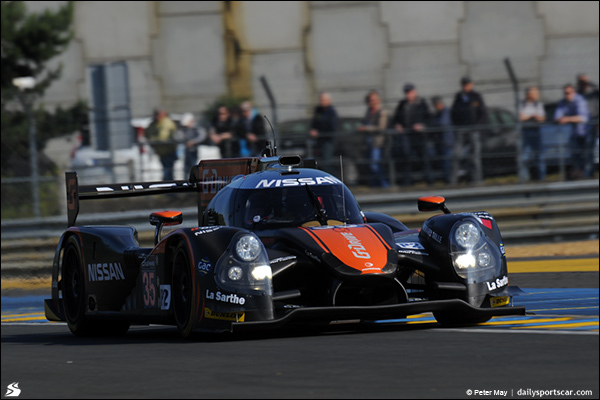 The second SMP Oreca Nissan is likely to be the quicker of the two, courtesy in the main of the efforts of the anchorman for the team (Tsar) Nicolas Minassian. The hugely popular Frenchman has slotted into LMP2 beautifully and is blending his role as the fast pro with the ‘elder statesman’ driver coach face of the job very well indeed. Maurizio Mediani is adapting fast and Kirill Ladygin has so far been pretty fault free. The team need a clean run – But this is another effort that might just produce a result. The Jota team have two sorts of races it seems, those which they cruise to untroubled podium or victory, and those that come and bite them on the backside hard. 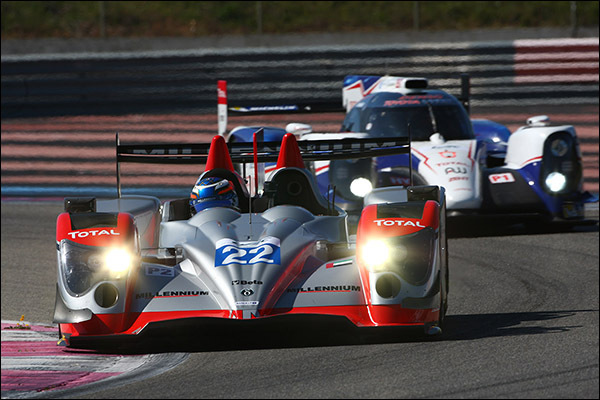 They are long overdue one of the former at Le Mans and this year have as good a package as any in pursuit of that aim. Sam Hignett’s team produce a fine looking and beautifully prepped race car and alongside team co-owner/ driver Simon Dolan, one of the fastest Gentlemen drivers on this grid, the team also fields coming man Harry Tincknell, yet another man coming out of single seaters in search of a sustainable and rewarding career path, and Audi Sport’s reserve driver, and 2009 overall winner of the Le Mans 24 Hour Marc Gene, a driver of very high quality. Allan McNish can take a substantial mount of credit for the latter two drivers’ presence here, the wee Scot manages (and mentors) Tincknell and it’s through his advice that Audi Sport has ‘adopted’ Jota as a ‘junior’ team to assist the preparation of their younger LMP drivers, Felipe Albuquerque placed with them for the ELMS. Michael Munemann the Gentleman driver with 18 year old Alessandro Latif the coming man, a young aspirant pro who has already ticked the 24 Hour race box this season with a run for Audi at the Rolex 24 Hours in January. This is a step up, and a step forward for the youngster, a good result here could be a significant calling card. James Winslow is a high quality driver with most of his experience thus far having come in the Asia Pacific region. he’s keen to show what he’s got to bring to this programme, and if he manages to deliver on the potential this could be an effort that rises up the order. 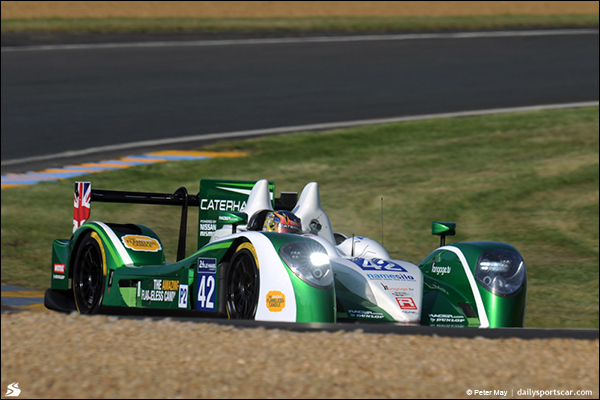 The ‘Caterham Racing’ entry is, unreality, a second Greaves entered car and with the ten reshuffle it’s this car that stands to enter the history books as young Matt McMurry bids to be the youngest ever starter at the Le Mans 24 Hours. 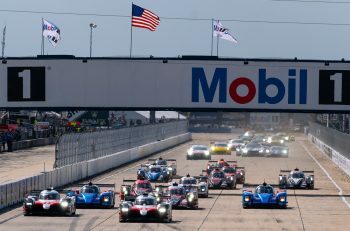 Matt, son of long time ALMS racer Chris McMurry has impressed with his progress on and off track – it’s great to see a dream fulfilled and there will be emotion on display of it all comes together on Saturday. 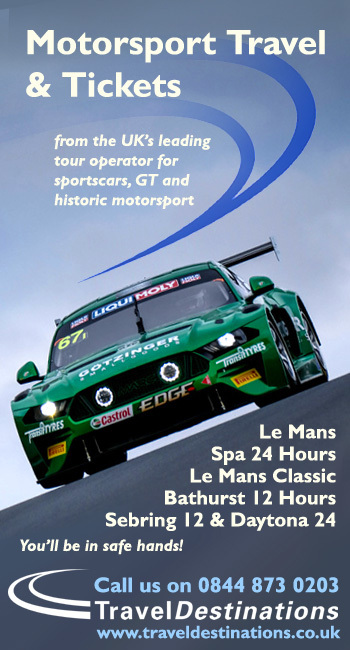 His racing mentor is Chris Dyson, the Dyson Racing boss back at Le Mans for the first time since 2009 and keen to get his best result yet at a race he loves before getting stuck in to his teams new Bentley GT programme in the Pirelli World Challenge. Tom Kimber Smith comes as part of that package too, A Greaves regular he races alongside Dyson in the US too, aboard a factory demonstrator Caterham SP300R (Dyson the North American distributor). 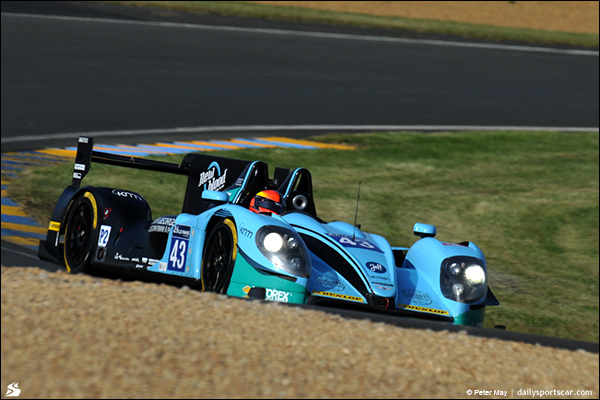 The Brit, now living in the USA, is chasing a third LMP2 win here, and a fourth class win overall. The team will rely on his speed to get anything like that result, but all three here are capable of the kind of consistency that will bring them home in good order. This is an interesting effort, a team in its second year of LMP2 competition, retaining the Dunlop shod Morgan Judd from 2013 and deploying its talents better this year. Romain Brandela is capable of good speed,but has had the odd occasion Le Mans 2013 for instance when he drove for DKR) when a lack of focus can intervene! 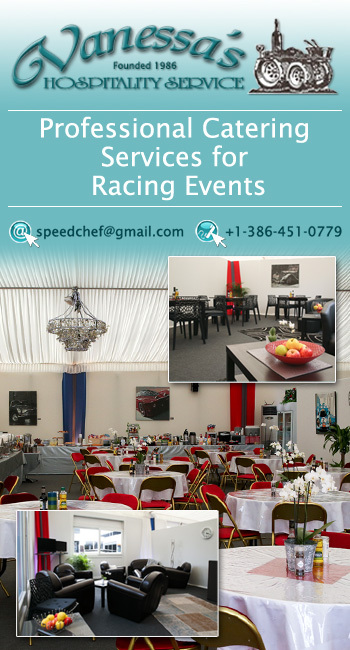 Gary Hirsch is highly rated by many and should provide speed and consistency into the mix in support of the team’s top pro, Christian Klien, ex F1 and with Peugeot and Aston Martin factory experience here. Do not count this team out. Another high quality team, with EMS Championship winning form behind them. The introduction of the team’s brand new, and beautifully liveried, Ligier Nissan though is brave here, the switch made as early as possible from the Morgan that the team started the year with. The driver squad is quick and well balanced, Pierre Thiriet grows in confidence year by year, Ludo Badey is not a familiar name to many, but might well be rather more familiar after this race and tristan Gommendy is another of ‘those’ racing drivers who has never had a programme that has allowed his rich seam of talent to be displayed to a wide enough audience. Gommendy is a driver of real quality, expect him to be at the sharp end here – and if the Ligier escapes the usual new car niggles expect the effort to stay the course. KCMG move up to a full season of FIA WEC competition after a mixed part WEC and Asian Le Mans start to their LMP2 race programme. They swap their 2013 Morgan chassis for an Oreca, and their Michelin rubber for Dunlop, and in a weakened WEC field are scoring well. 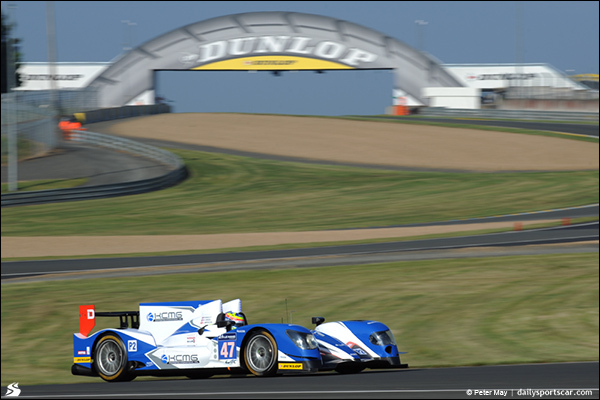 KCMG are a wide ranging team in their home Asian markets and that has given them access to a rich seam of talented drivers with the Le Mans trio some of their standout customers. Britons Howson and Bradley have both impressed and Imperatori is a solid and sometimes rapid operator too. This is an entry with real potential. Greg Murphy’s eponymous team is back for another crack at a race they have led before, but have never yet performed as well as the package promised, misadventure and misfortune have reigned. The start to the season was disrupted by illness to season signing Tor Graves. That relationship soured badly in recent weeks with Graves announcing his retirement from the sport, clearly feeling aggrieved though there is reason to see another side to this story. This was the team that launched Brendan Hartley to his Porsche factory berth and that’s no doubt why single seater hopeful and ex Marussia Test Driver, Rodolfo Gonzalez has rocked up here. 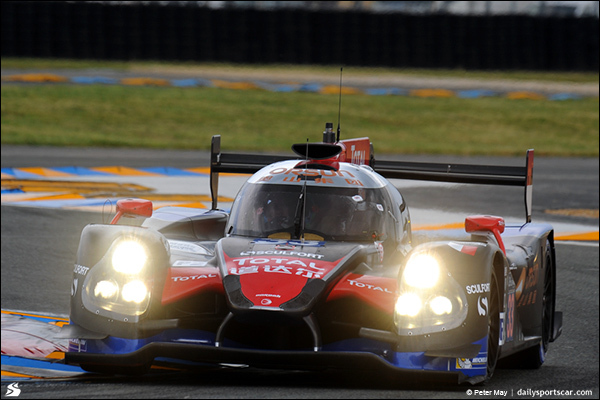 He has speed but lacks discipline – that cost the team dear earlier this season and would be disastrous at Le Mans. Nathaniel Berthon was a late signing to the team, the World Series by Renault and GP2 race winner will add pouch (and brings valuable backing too!). The glue that could hold this together is Karun Chandhok, the ex F1 driver is quick, but perhaps more importantly he’s a real team player, is looking for a career path, and seems well suited to the Murphy team – If he can help to reel in the excess of the quick but impetuous Gonzales this team has a shot. 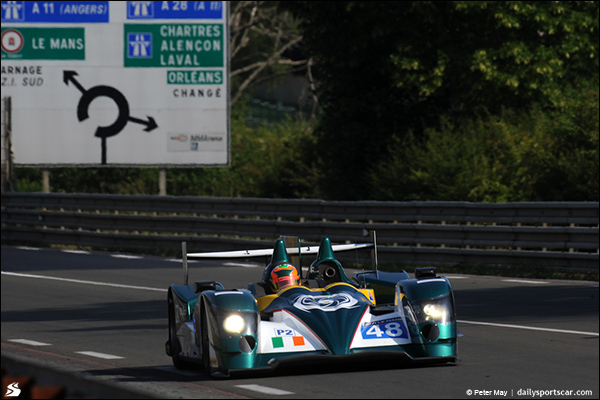 The multi-class winning squad arrives in 2014 with a new LMP programme, replacing the GTs which Jack Leconte’s squad has scored so many successes. This effort was a late addition to the Le Mans entry and so far hasn’t impressed in the overall pace stakes. There’s more to come though, in particular with the talents of Pierre Ragues and Ricky Taylor on tap. 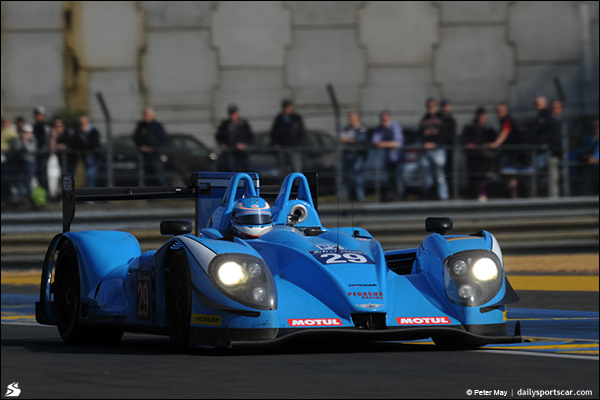 Ragues failed to find a berth in an Alpine squad reduced to a singe car this season and Taylor has race winning form in DPs over in North America. The weakest link here is undoubtedly Keiko Ihara, the utterly charming Japanese lady driver is a great ambassador for the sport but lacks the speed and consistency of many of her peers in this class.